Second Place in the 2018 OC Parks & Rec Gingerbread Contest, “Arctic Life: An Inuit Hunting Expedition”— created by The Boys & Girls Club of Orange. Dena Jennings and a group of Boys & Girls Club members pause for a group photo, as they ready to perform at the 2018 Juneteenth Celebration held at Montpelier. 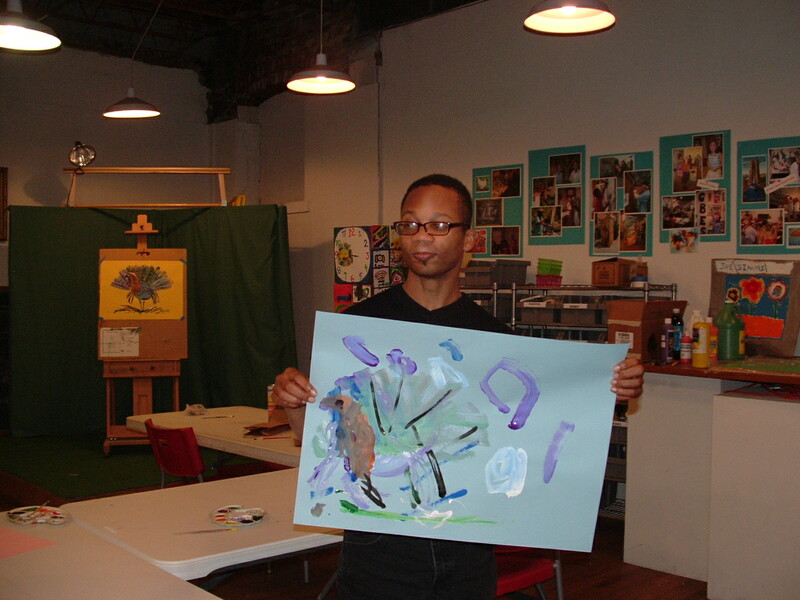 Boys & Girls Club members create Masai shields during one of the school-year monthly art sessions held at The Arts Center. Teen members of The Boys & Girls Club join luthier and gourd instrument builder Dena Jennings for a private gallery tour of her “Traditions & Transformations” exhibit in The Arts Center’s Morin Gallery. The Boys & Girls Club members celebrating First Place for the 2017 OC Parks & Rec Gingerbread Contest. “Pagoda” First Place Winner of the 2017 Orange County Parks & Rec Gingerbread Contest, created by members of The Boys & Girls Club of Orange. 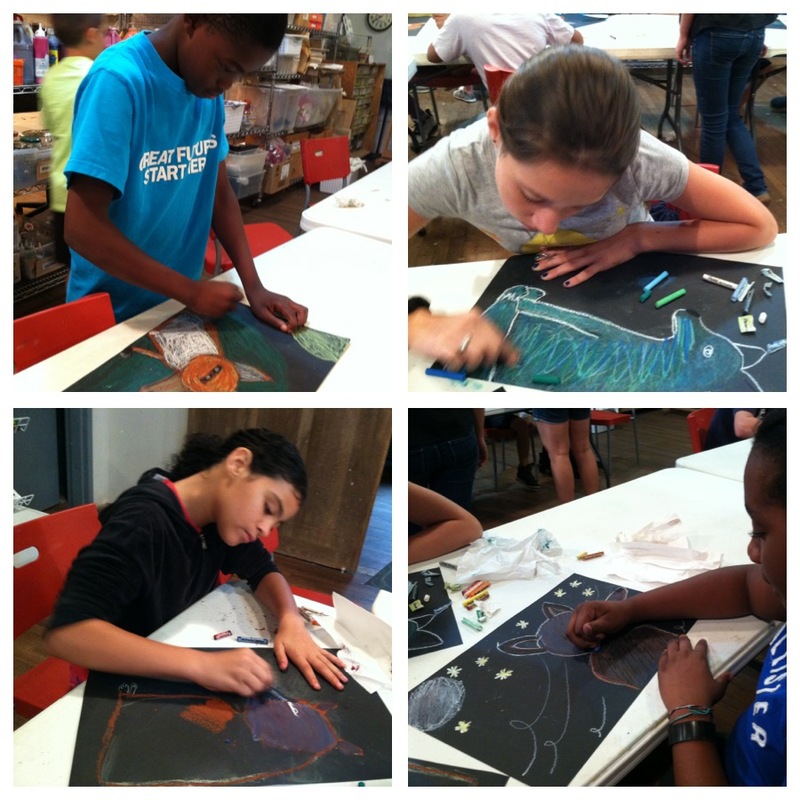 Members of the Boys & Girls Club studied American painter Thomas Hart Benton, and explored interpretations of his painting “Haystack”, using oil pastel on black paper. This piece is titled “Mule”, by Sierra. The completed pieces – wooden boxes now outfitted for the winter celebrations – from priming to bow-trimmings, were completed by Outreach and the Boys & Girls Club just in time for the Gordonsville Town Management crew to set them up in a pleasing fashion amidst the twinkling lights and festive displays along the main thoroughfare in the town of Gordonsville. The Town of Gordonsville, the Boys & Girls Club of Orange, and the Outreach Program have put their creative minds together to work on a project for the upcoming season. Outreach and the Club are in the beginning stages of painting the large wooden boxes that are part of Gordonsville’s lovely winter decorations. In years past, the boxes were wrapped (many times throughout the display time, due to inclement weather!) with various wrapping papers. They will now be painted with outdoor paints – uniquely! – and then varnished to last through whatever a winter season holds. 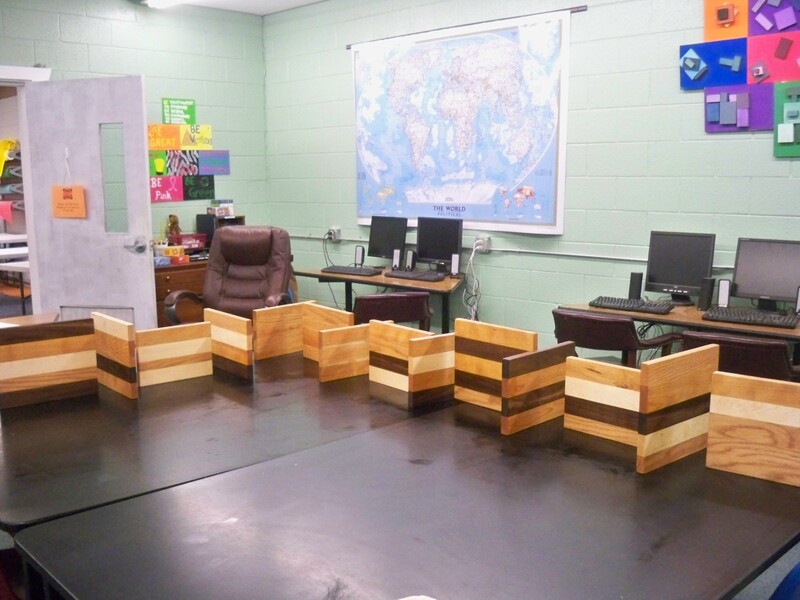 The bare wooden boxes, rich paints and all necessary supplies have been provided by Gordonsville Township. The rest is up to Outreach and the talented Club members! 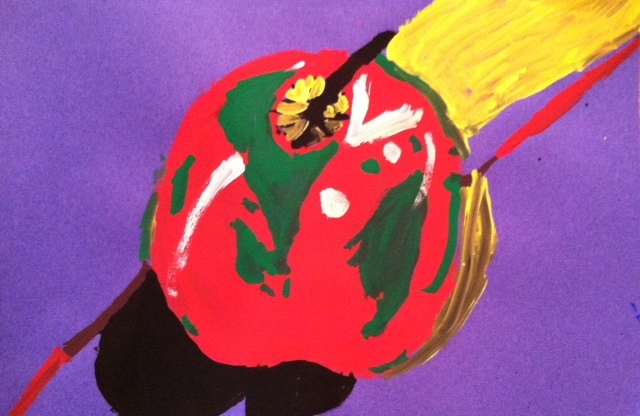 Apples and still life’s are nothing new to the Boys & Girls Club of Orange! 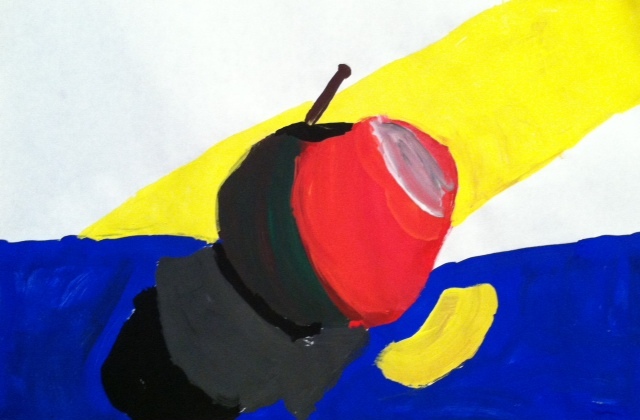 An intensive study of the technique known as chiaroscuro (meaning light/dark) – one of Leonardo da Vinci’s favorites – took the still life of an apple exploration to new and interesting, creative places. 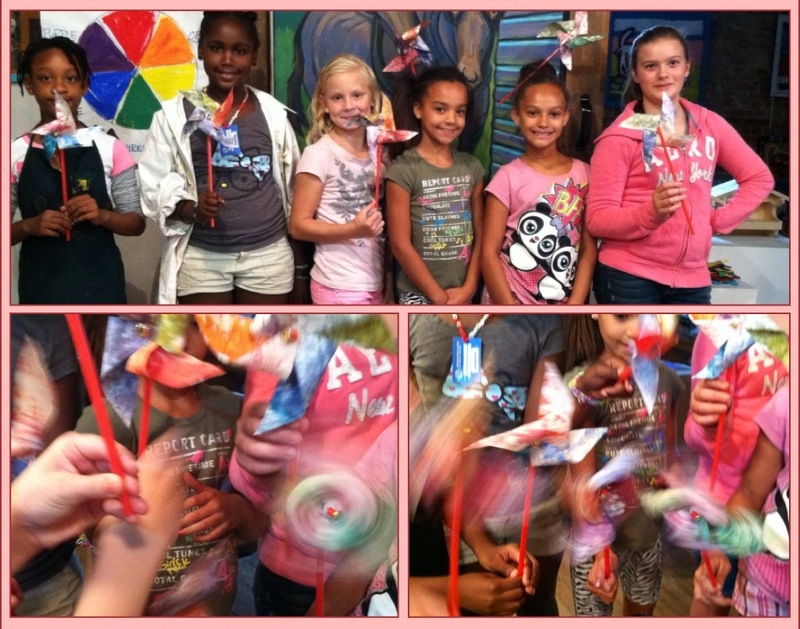 With the weekly summer art sessions, held at The Arts Center, in full swing, a group of girls from the Boys & Girls Club of Orange built their own pinwheels, from scratch! 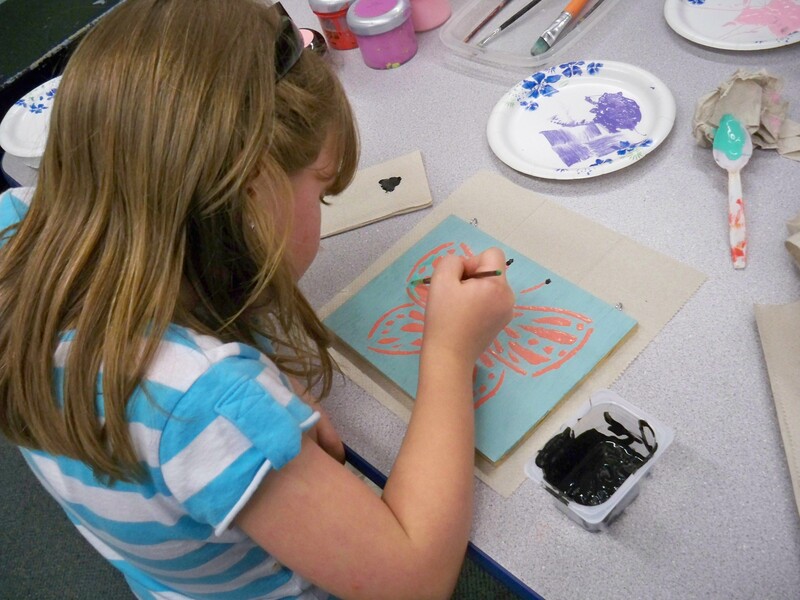 First, they inked up some sturdy paper, batik-style, in vibrant, rich colors that melded together beautifully. Then they dried them, to set the ink. Lastly, with brads and jewlery tools, and some savvy pinwheel know-how, the pinwheels were put together – and put to the test. 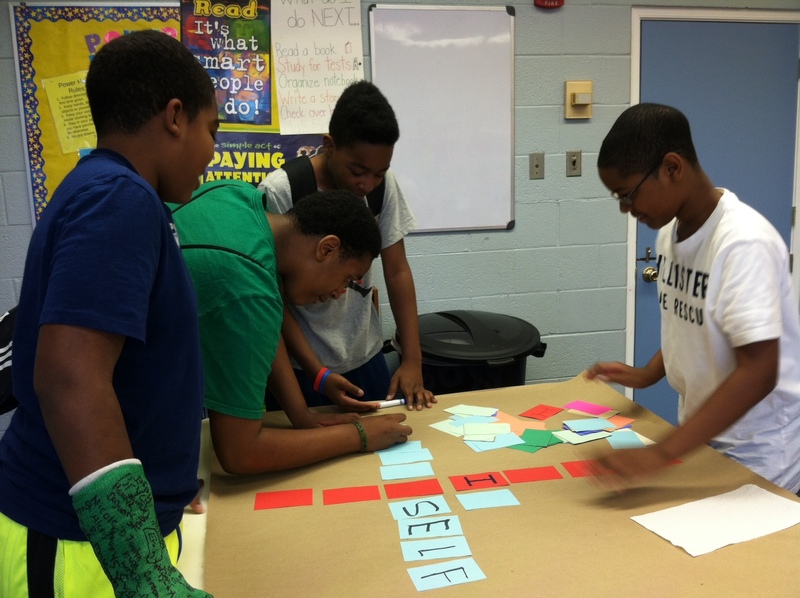 And they worked – beautifully! 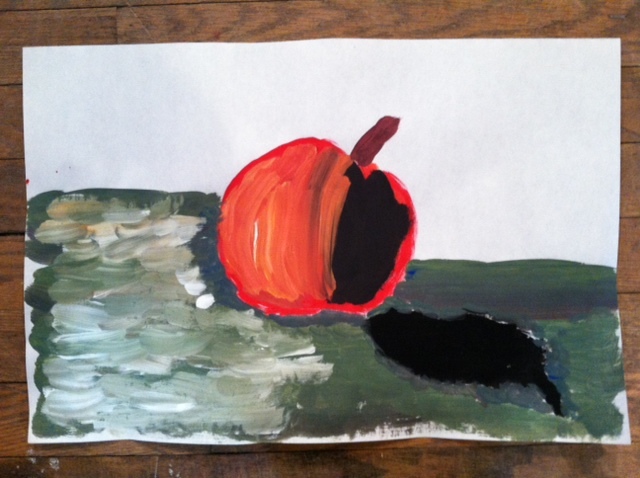 After viewing and discussing many famous paintings by artist Piet Mondrian, members from the Boys & Girls Club of Orange explored their own powerful versions of color and form. 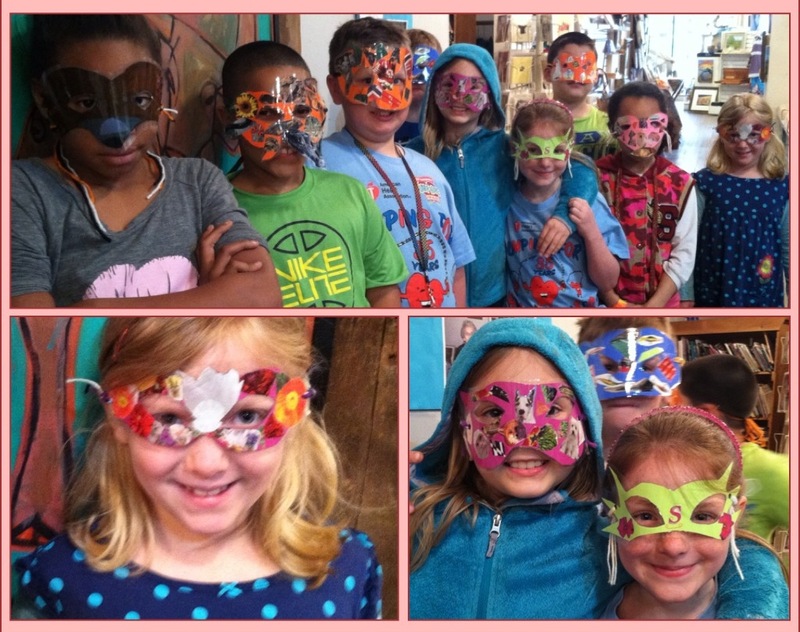 Masks are always intriguing: They disguise, transform, and are found in every culture across the globe. Using lamination to enhance the already slick properties of magazine pages, these masks bear the distinction of each individual artist. Boys & Girls Club of Orange members had fun! 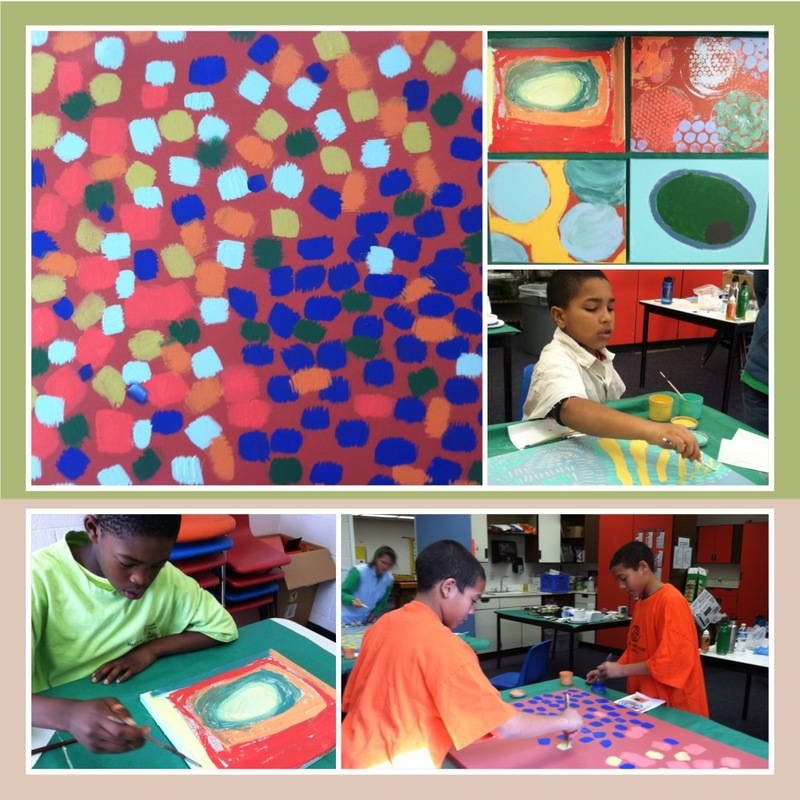 Members from the Boys & Girls Club of Orange work on their own versions of abstract painting after an in-depth study of the influential American artist, Alma Thomas. Using a life-size statue of a fox as inspiration, Boys & Girls Club members created wonderful, artistic interpretations of the fox. 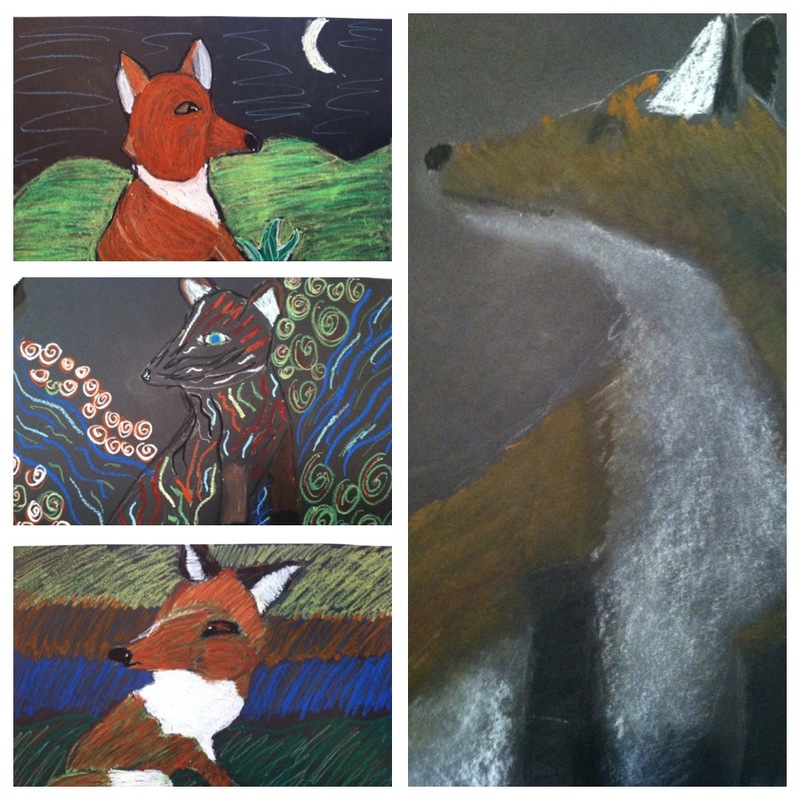 During the last class of the weekly summer sessions, which are hour-long classes, these pieces were rendered by using oil pastels on black paper. 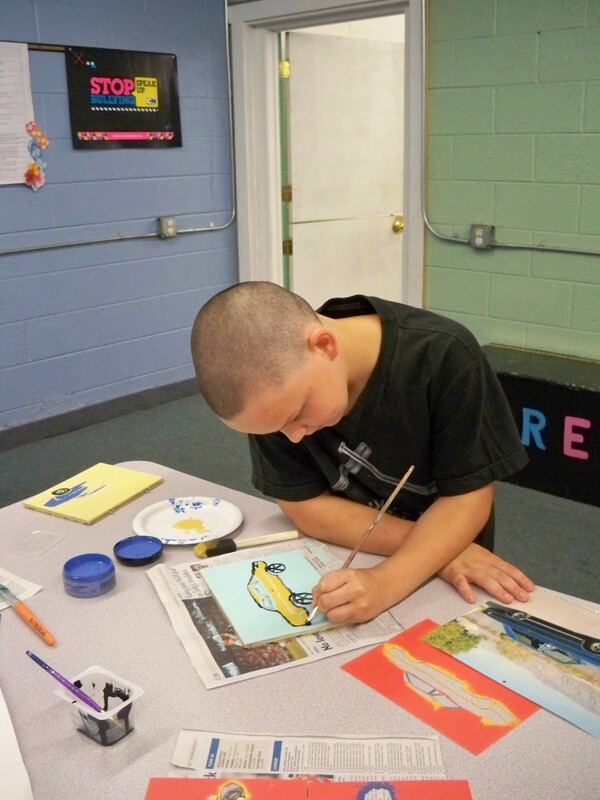 Weekly art sessions held at The Arts Center, during the summer months, are in full swing for Boys & Girls Club of Orange members. 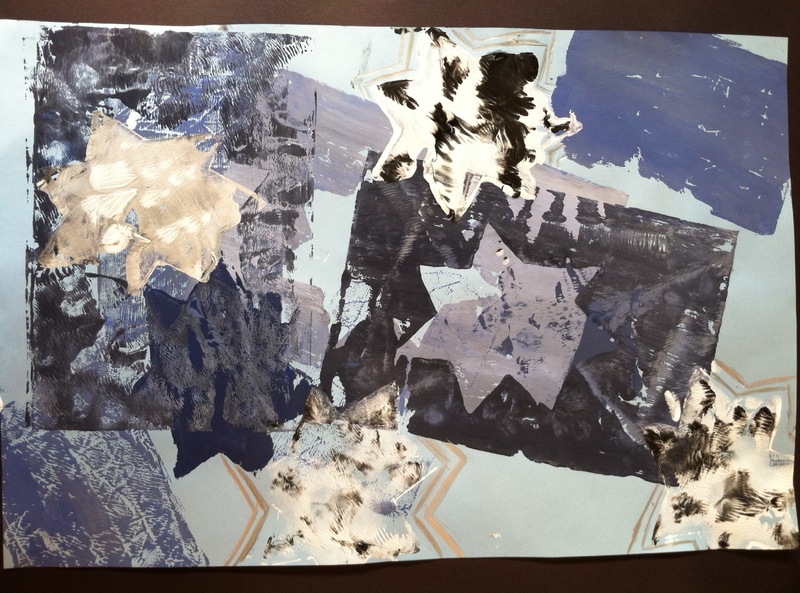 The last week in June found some fantastic self-portrait explorations in charcoal created by club members, with July boasting a printmaking exercise, with one student creating her own beautiful universe full of stars. 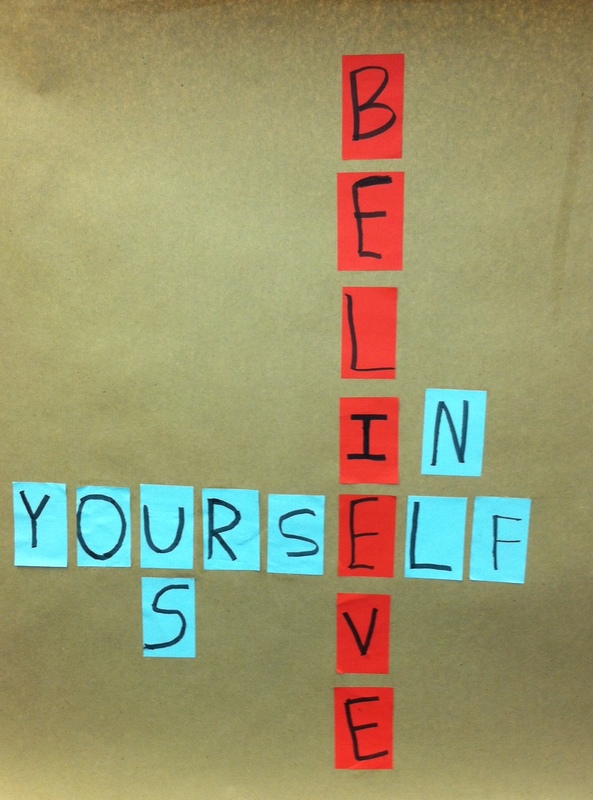 It was Spirit Week at the Boys & Girls Club of Orange, and words that embody the philosophy of character building were incorporated into a colorful crossword-type format. These fellows came up with an impressive piece that not only captures the true spirit of the club, but could be used as a motto for us all! It was a long and very hot July and August 🙂 but this great group of devoted artists from the Boys & Girls Club of Orange worked hard through the summer elements while learning the logistics, from priming to completion, of painting this garden shed . 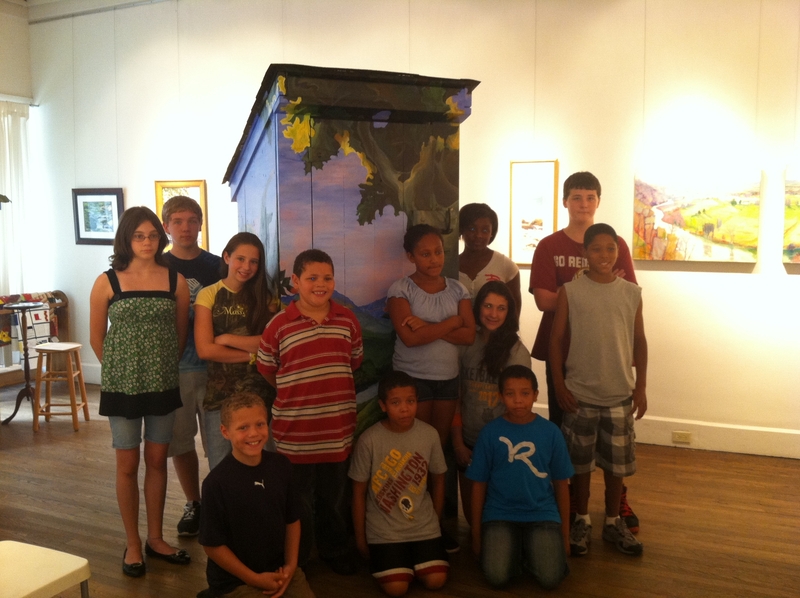 Built by the Orange County High School’s Future Farmers of America out of the old bleachers from OCHS, the shed, in the shape of a privy, was one among 4 others that were painted by area artists for an Outreach fundraiser. 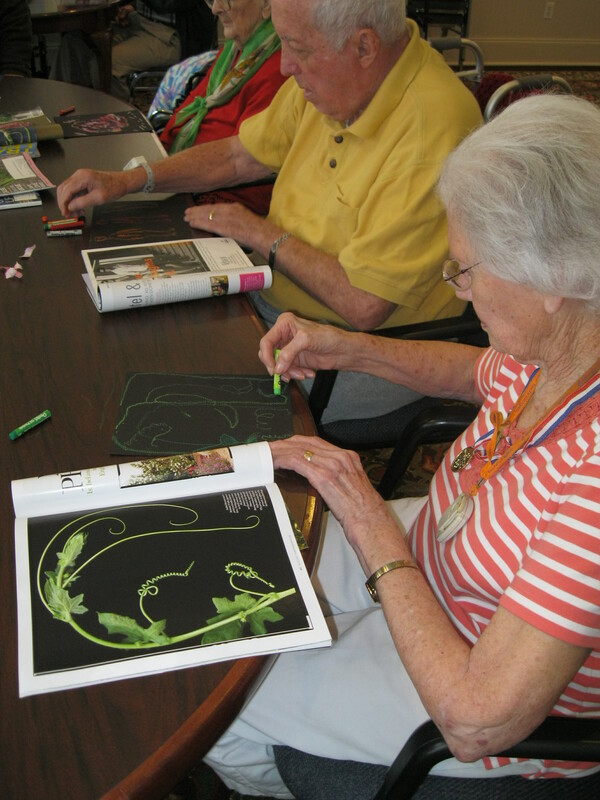 Side by side with Outreach artists, Wendy Wiebe and A. M. DeMio Dowen, the team of Club members worked on a study of combined works by artist Thomas Hart Benton. The privy’s were auctioned off at the Edible Fest, held in Orange this past August, and a huge and heartfelt thank you goes to the privy makers, sponsors, purchasers, artists (including the BGC team!) movers, and volunteers – and to all who support both the Boys & Girls Club of Orange and the Outreach Program – we couldn’t do it without you!!! 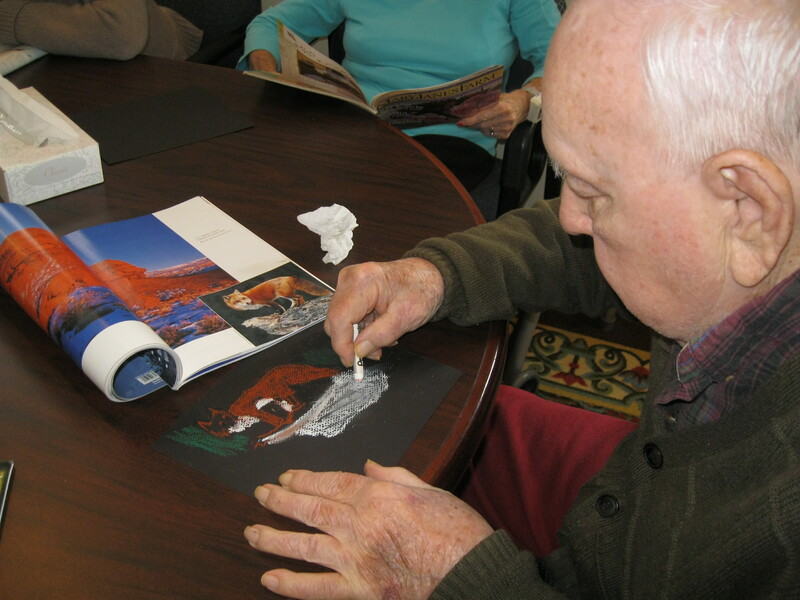 During a recent art visit, which Outreach makes at The Village at Gordon House on a monthly basis, these talented seniors explored a form of drawing . 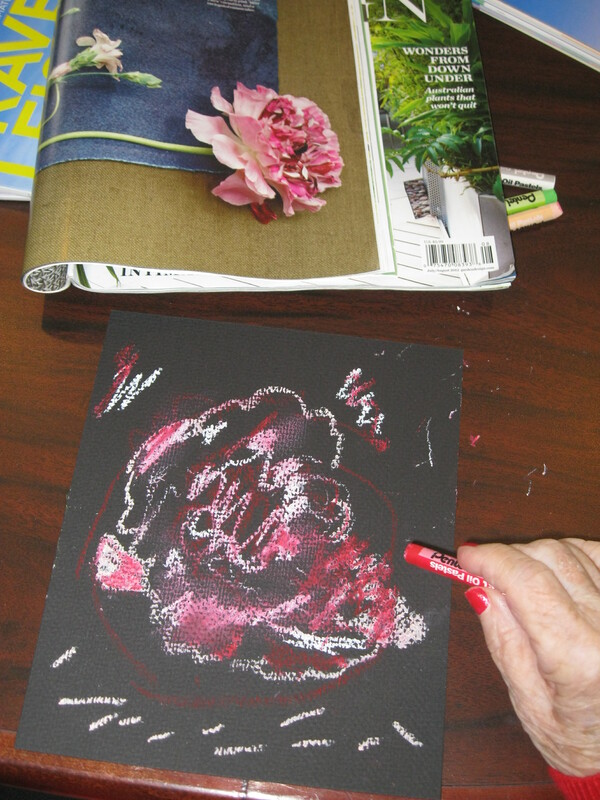 Using rich and vibrantly hued oil pastels on black pebbly-textured paper – along with various imagery from magazines acting as inspiration – each artist interpreted nature at its finest. The weekly summer visits to The Arts Center have been a summer tradition for Outreach and the Boys & Girls Club of Orange for 10 years. 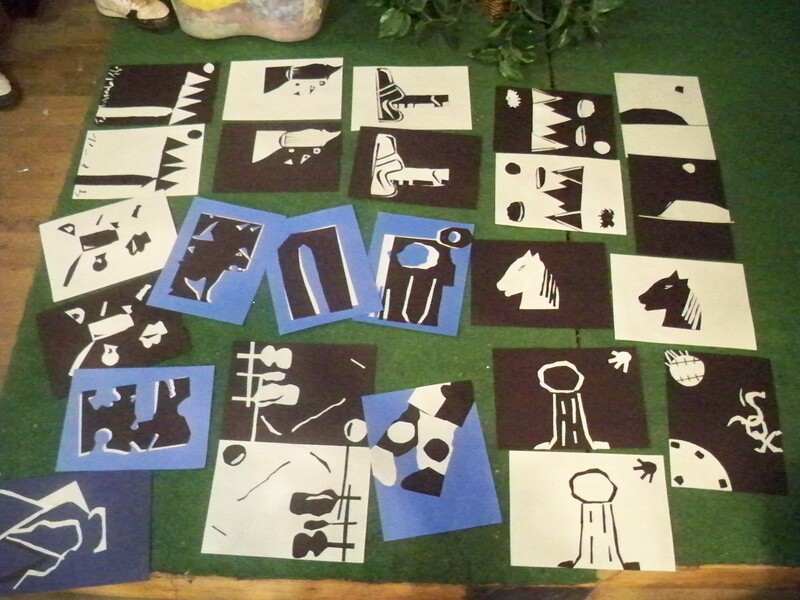 Among many art explorations, a study in black & white, which led spontaneously to a Pablo Picasso study backed in blue, was a memorable one. 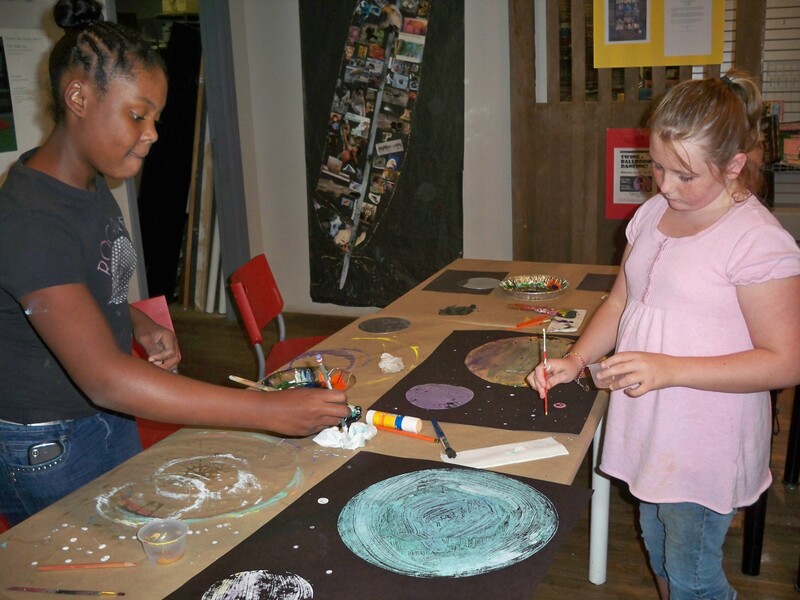 Summer is full of fun – and art exploration through the Outreach Program was part of it all during Boys Night and Girls Night at the Boys & Girls Club of Orange. Cool, hot muscle cars and bright, beautifully patterned butterflies were the theme for each group, respectively. 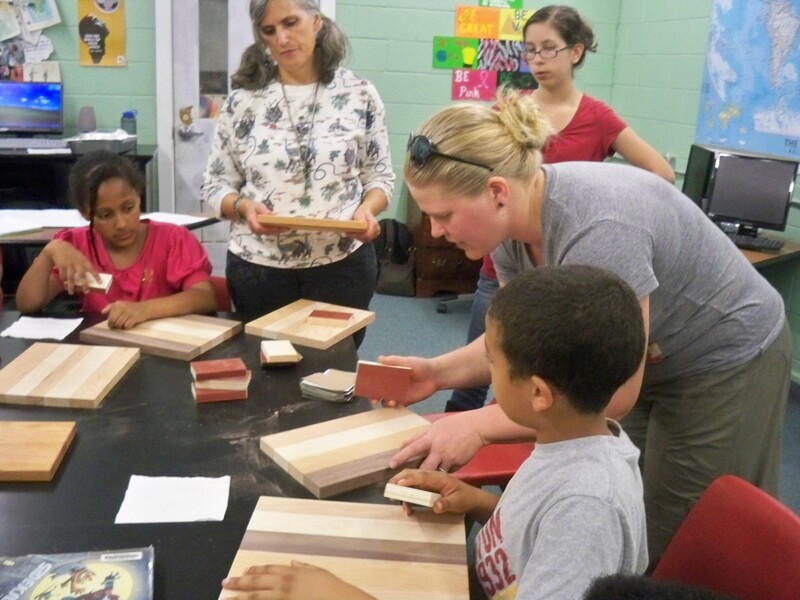 Working with artist Christina Boy, B & G Club members designed their own cutting boards, from start to finish. Beautiful bands of white oak, cherry, ash or black walnut were selected and arranged in a design that pleased each individual artist. These pieces were then glued together, dried and sanded – and, finally, oiled and polished to perfection – a multi-stepped process! 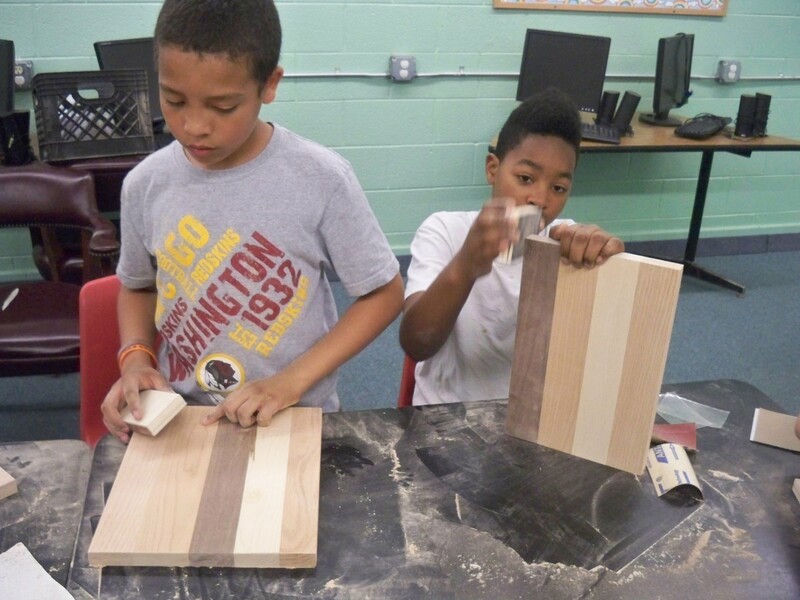 The cutting boards were part of the artwork sold during the annual Art Inspirations fundraiser that supports both the Boys & Girls Club of Orange and the AC Outreach Program. It was held this summer at The Edible Fest, right here in Orange, VA. Thank you to all who helped support both of our fine programs! 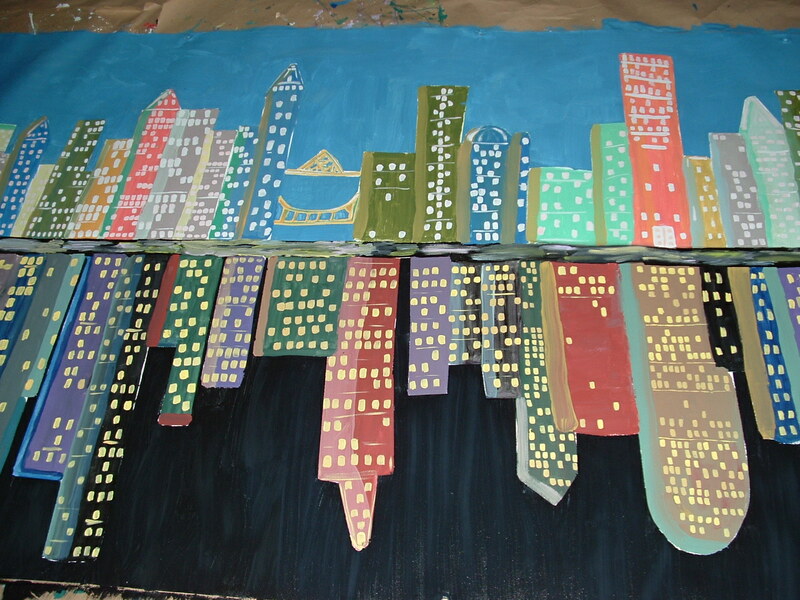 Over the late autumn and early winter months, the Boys and Girls Club of Orange gathered at The Arts Center to design, block out and paint a fabulous cityscape that will hang in the Teen Room at the Clubhouse. 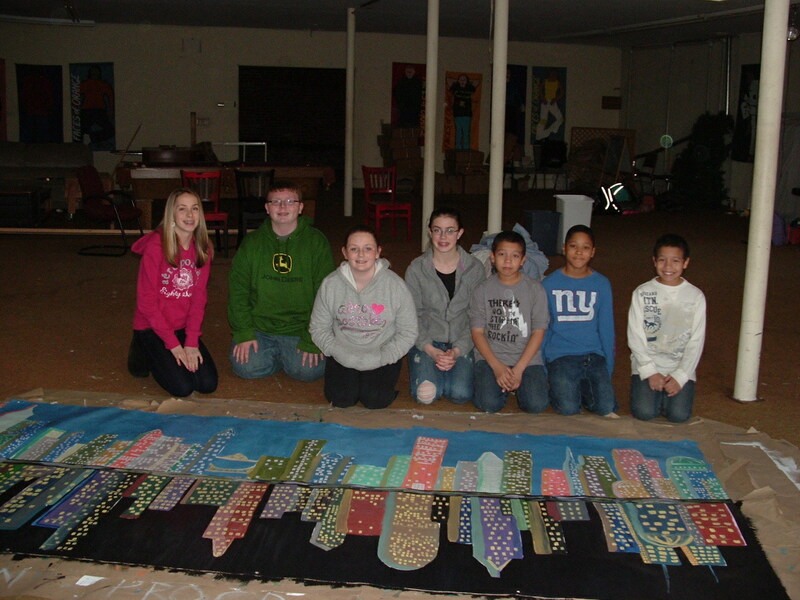 The mural was designed to hang from either point of view. Note the deliberate differences between each viewpoint. Artist Frederick Nichols, of Barboursville kindly donated time and set up shop for Outreach at The Arts Center in Orange. Pictured above is Nichols, whose work is internationally collected, with Boys and Girls Club members Leah Call and Josh Barnes (and a bit of Dykeem Cervantes!!). 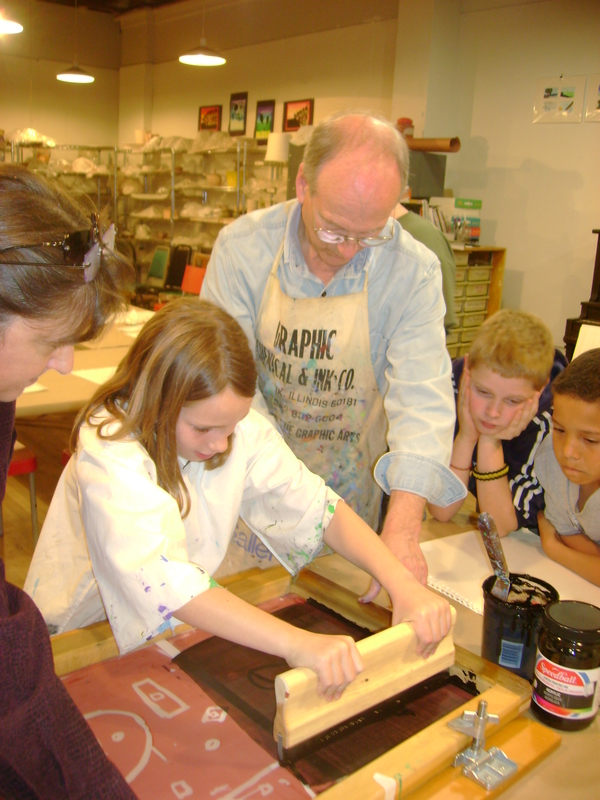 Nichols worked with several members of the Boys and Girls Club of Orange, helping them throughout the silk screening process. 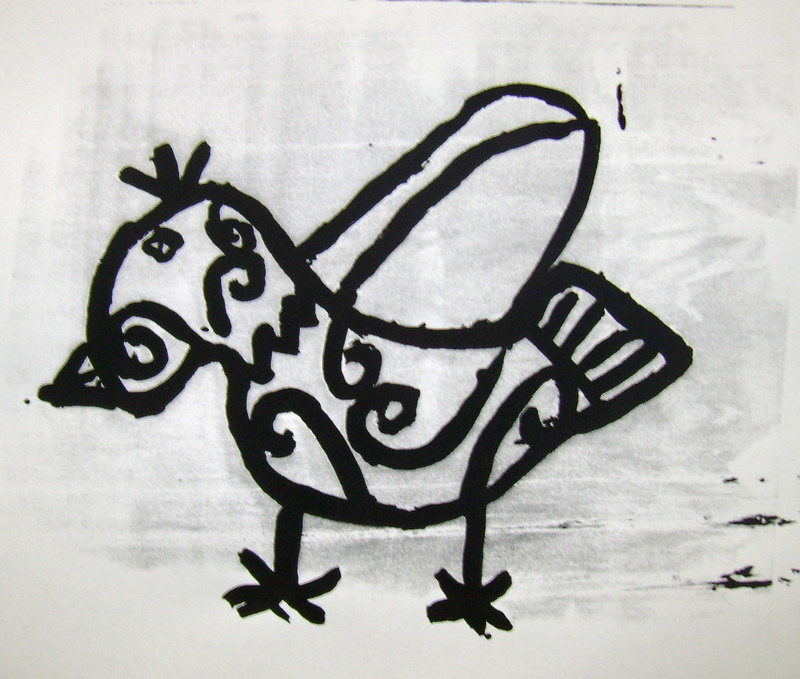 Leah Call’s final print, Bird, is pictured above. Orange County’s Emmet Aylor raises funds for the AC’s Outreach Program: Thirteen year-old Emmet Aylor – a welcome sight at the yearly OC event, the Somerset Steam & Gas Show – sets up a booth and raises funds for a different organization each year. He has been doing this for the past six years. This year, between Emmet’s smile and the homemade baked goods that he sells, he raised $300 dollars! The Outreach Program is truly honored to be the recipient of this year’s hard, selfless work. Deepest thanks, Emmet! The Universe holds no boundaries…. The Universe holds no boundaries…. 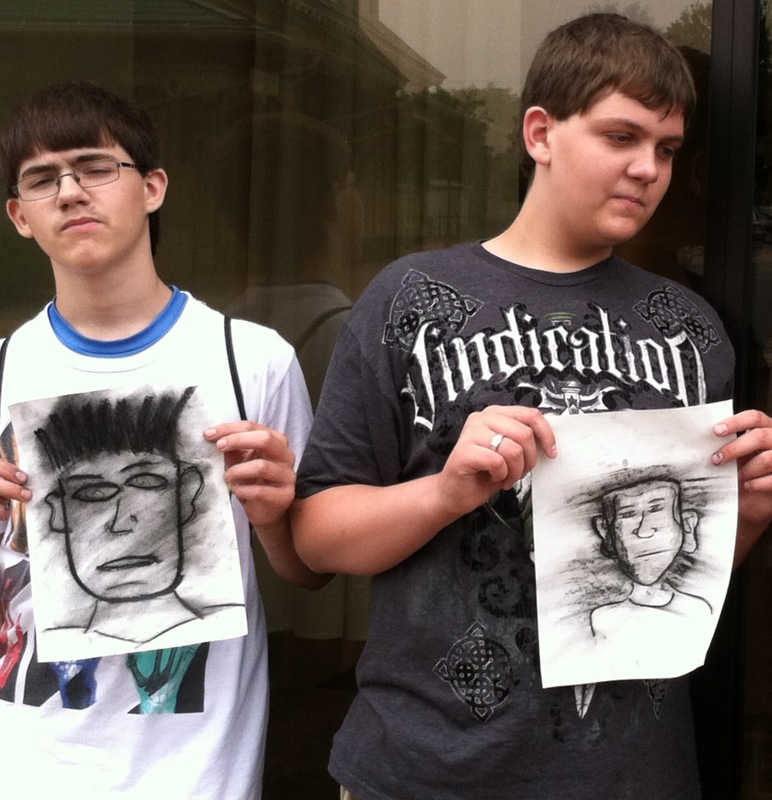 Boys and Club of Orange artists use various forms of printmaking techniques – some traditional, some completely off the cuff – while creating their own vision of worlds beyond our own. 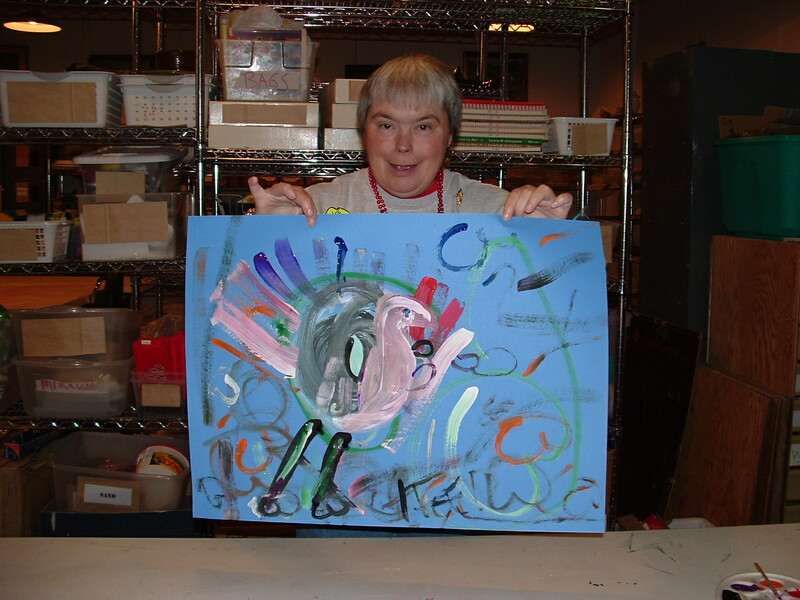 Andy Warhol’s iconic Pop Art was the study of the day for both the Boys and Girls Club of Orange and for members of Bridges, an adult mentally handicapped day program. 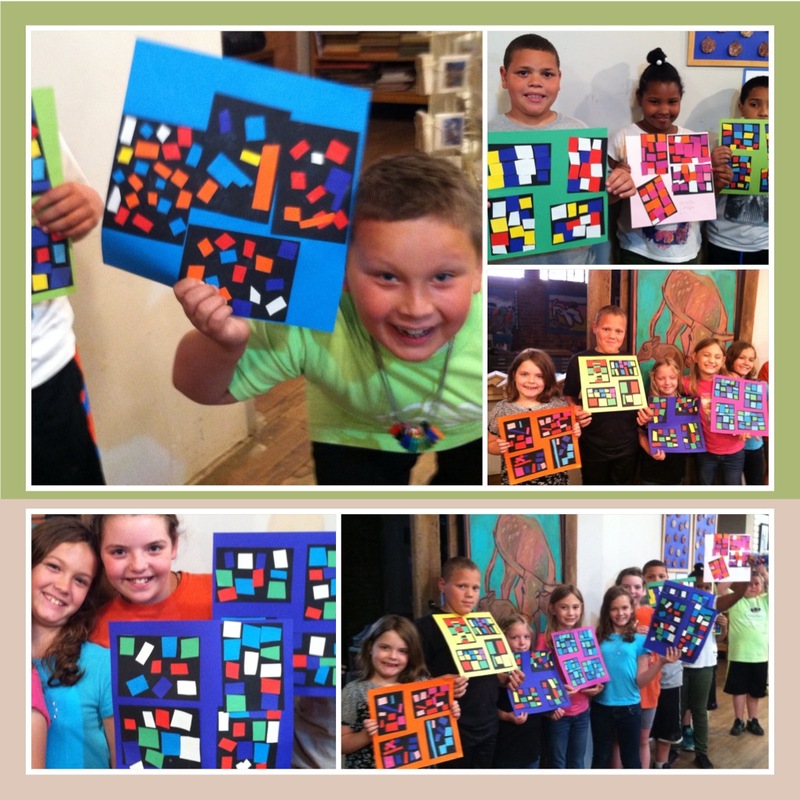 Each group visited The Arts Center at different times during the month of November; both groups came out with fun Pop Art pieces of their own. 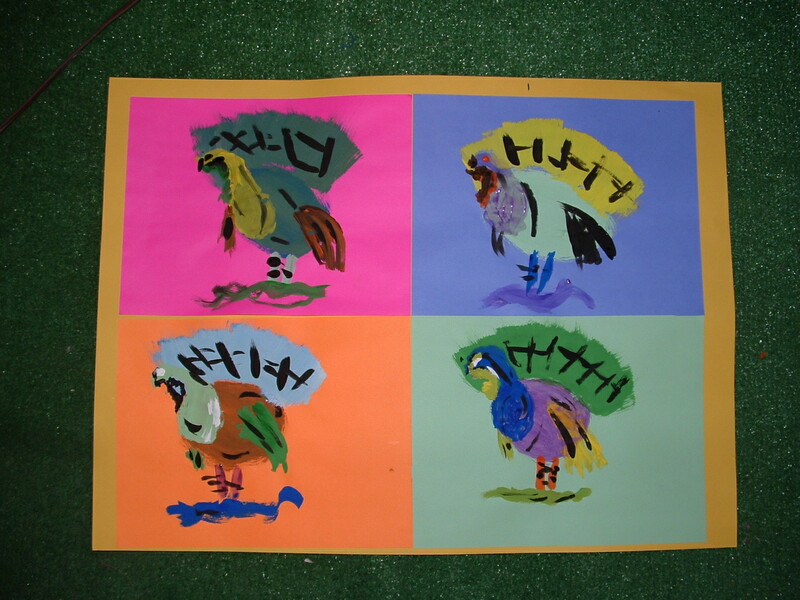 After viewing Campbell’s Soups commemorative labels, which marked the 50th anniversary of Warhol’s 1962 32 Campbell’s Soup Cans, each group took on Pop Art by creating their own Turkey’s with a Twist. Juneteenth is the oldest nationally celebrated commemoration of the ending of slavery in the United States. Members from the Boys & Girls Club of Orange joined VCA performance group Atumpan during the celebration presented by The Arts center in Orange and The Orange County African American Historical Society. Practicing with Atumpan, after an indepth presentation held at the Club the day before the event, was an incredible and exciting learning experience. To compliment the Take me to the Rapidan! 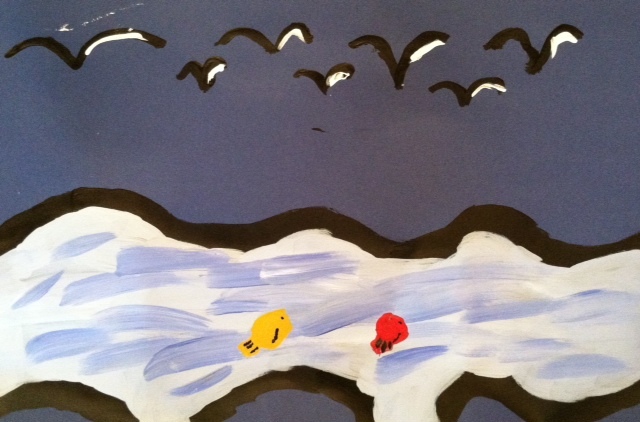 exhibit in the Morin Gallery at the Arts Center, members of the Boys & Girls club explored their interpretations of life on the river during a summer session class. 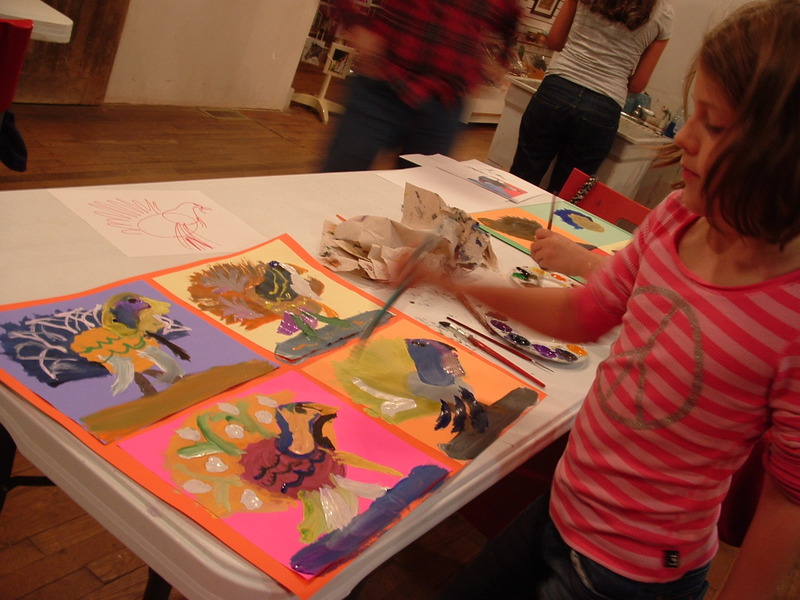 After first viewing the pieces hung in the gallery, the students painted their renditions using acrylic paints. 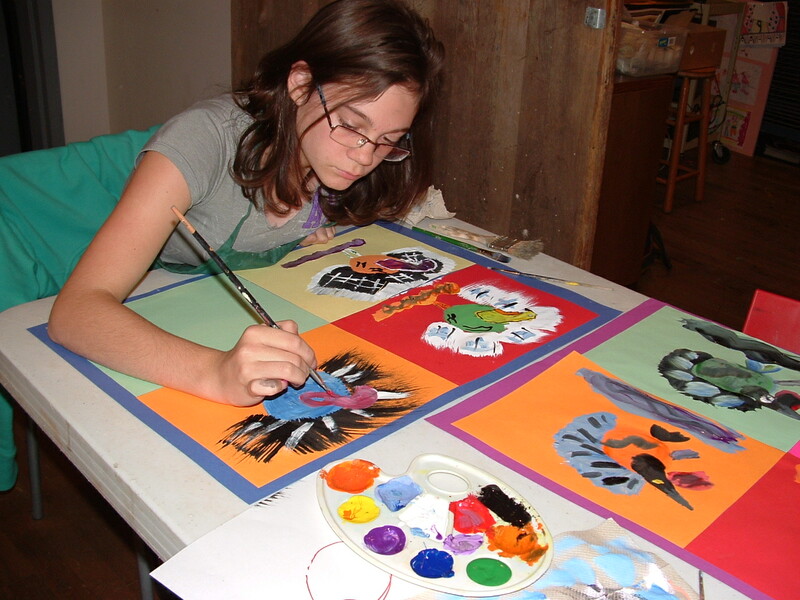 Summer art sessions are held weekly at the Arts Center for the BGC, from June through August.